I could give you a list of excuses why I haven't been posting much (cooties, post-cootie catch-up at work, nice weather etc...) but I'd rather just show you some beautiful things instead. 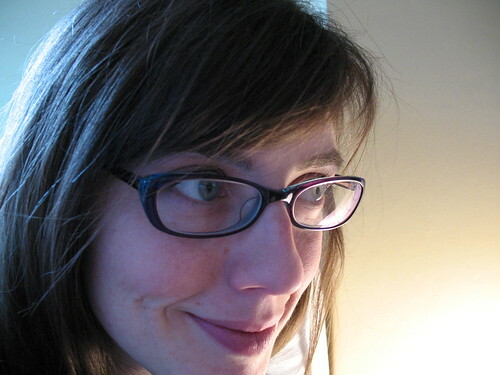 in "Pearl" (a luminescent grey with shimmers of pale lilac). Believe the hype. It IS that soft and worth every stinking penny. I've got enough to make a generous-sized scarf that I will never, ever take off. Ever. 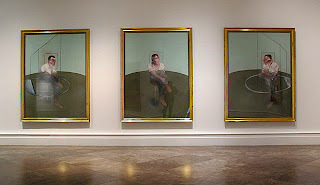 DH, my cousin and I took a little road trip to Buffalo NY to see the Francis Bacon exhibit. If you're in driving distance, you should go see it, it's great. 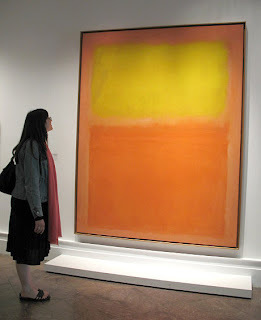 Here's me in front of a Rothko. By sheer coincidence, I have a poster of this exact painting in my kitchen. We made our way to Buffalo via Toronto, and of course had to stop at the much-touted (and deservedly so) Lettuce Knit in Kensington Market. 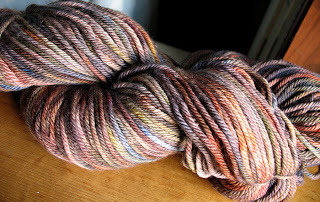 in a tempting "truffle" colourway. 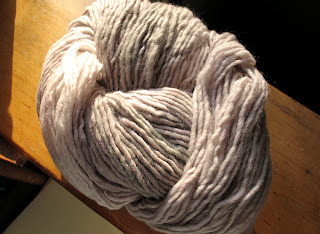 It's silky and beautifully dyed with flecks of colour rather than sections. I can't wait to see how the colours blend when I knit it up. Not sure what to do with it though. 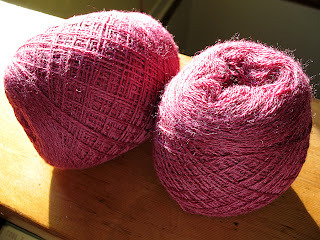 I've only got 1 skein (175 yrds), worsted weight. Probably a hat or a neck-warmer. 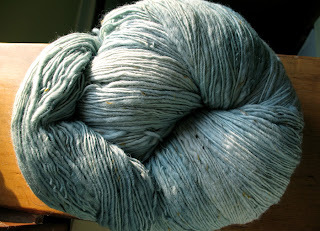 "Ottawa" (92% wool, 8% viscose) in a pale robin's egg blue. It also has lovely blips of gold and brown that don't really show in the picture. I have enough to make a fitted cardi.